At Smithtown Auto Trim, experience counts. 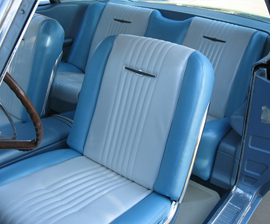 With over 65 years of seasoned experience in the auto upholstery industry, we offer our clients the expertise and knowledge our competition lacks. Our customers come from as close as Suffolk and Nassau County and Manhattan (New York City) and as far south such as Florida and west as Hollywood, California. 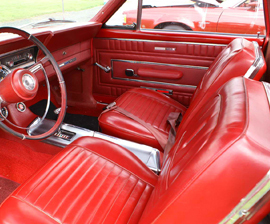 Smithtown Auto Trim provides unsurpassed auto interior services. Your vehicle is a reflection of you, and a well-maintained shows pride of ownership. Don't wait another minute, contact us today to learn how we can restore your vehicle to its original state. We work closely with you to ensure you are satisfied with our services. Your happiness is our top priority. Rips and burn holes can be easily repaired by our experienced and talented staff. 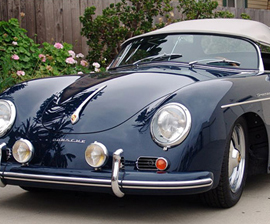 We replace convertible tops with the finest materials to match your cars original look. Replace worn headliners and carpeting with our high-quality fabrics and designs. 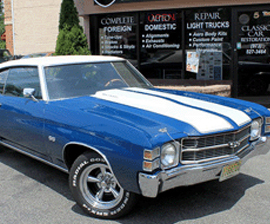 © Smithtown Auto Trim, Inc. All rights reserved.